aamra technologies limited and NBS Technologies together, empower more than 12 major banks and financial institutions in Bangladesh with card printing solutions. 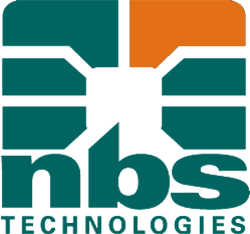 For over 40 years, NBS Technologies have facilitated banks to enhance their services through the various cards that banks provide to their clientele. Being one of the industry leaders of card personalization equipment, smart card manufacturing and semiconductor handling equipment, NBS creates solutions that are truly customized for the end user. NBS Products include: Advantage Embossers, Javelin Card Printer and Horizon Card Personalization System. Javelin Card Printers are compact, flexible and easy to use solutions that have built in Ethernet for printing networking, input hopper and output stackers and enable dual side monochrome printing. The series of Advantage Embossers from NBS not only have the best embossing technology and features in the industry such as magnetic encoding, smart card, color tipping, indent printing, monochrome thermal printing and automatic card stacking, but, they are also flexible and can be configured for additional personalization; hence, making it a smart choice of investment. NBS Horizon card personalization system is a high-volume, high-speed system engineered with individual Card Personalization Elements (CPE’s).The build-in flexibility of the Horizon allows for seamless customization as production requirements change. The Horizon’s performance, reliability and spare consumable pricing are lowest cost per card. Click here for the full range of NBS products and solutions offered by aamra technologies limited.